The UMAX 25 features an exclusive design that provides 360 degrees of hardened steel protection for your unattended trailer. Provides instant security for your camper, boat or trailer when they are not hooked up to your vehicle. Fits most 1-7/8, 2 or 2-5/16 inch couplers. 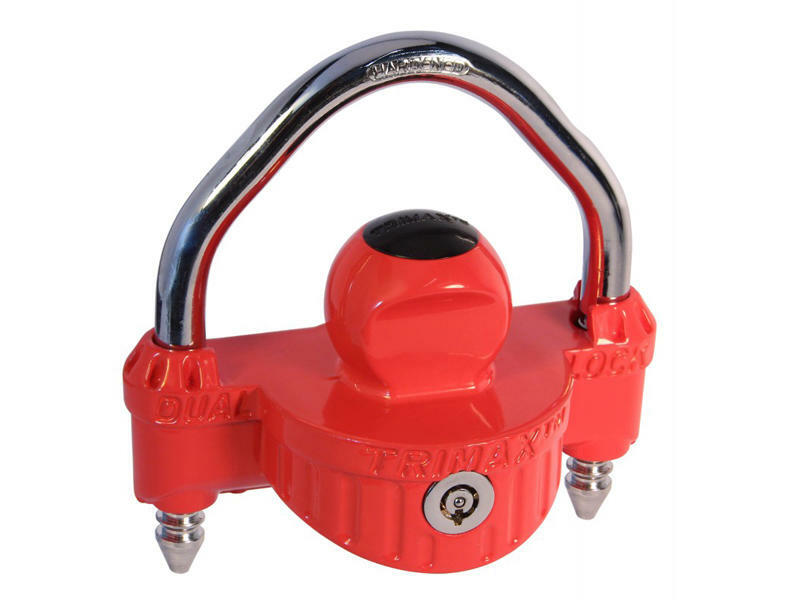 Dual ratcheting shackle accommodates chain or cable for added security. Shackle outside width is 4-3/4".